Thirteen-year-old Booker leads a sheltered life in Vermont—until a spellbinding relic throws him skidding into a world of magic and myths come to life. Anna is an Unangax̂ teenager looking for answers after her long-absent mother reappears in her life. When a mysterious bookmark brings them together on the Aleutian Islands, they’re sent on a dangerous quest to return a magical amulet to Anna’s Unangan ancestors. As they adventure across islands that glow like moonstones, they cross paths with nineteenth-century chiefs, the mysterious Woman of the Volcano, and the sinister Real Raven. While their journey is tinged with the fantastic, it’s based in real depictions of Unangan culture and history—the first historical novel set in Unangan folklore. It’s a coming-of-age-story that will resonate with young adult readers on their own journeys to discover their personal and cultural identities. 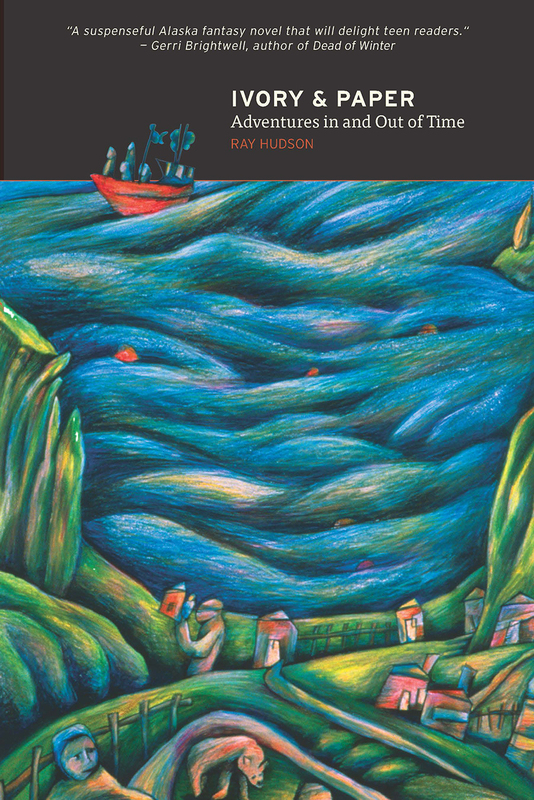 "Hudson's Ivory and Paper weaves a beautifully written tale of Unangaan lore into something that people of all ages can enjoy. The history and imagination in the background of this story come together in a way which both educates & intrigues the reader, all the while keeping the story fun and captivating for young minds. As the mother of two Unangax̂ girls, I can see this story becoming a special tale to share that combines our family's heritage with the realm of the fantastic."